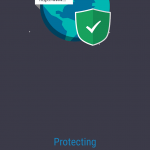 AMC Security Pro is a one-stop Android maintenance app that keeps your device running smooth and ensures real-time protection against common online threats. For a start, let’s get a few things straight: smartphones are ubiquitous, and Android is the world’s top mobile operating system with a market share of 75%. Most businesses are committed to the mobile-first approach in their marketing, because corporate decision-makers know numerous customers prefer tapping rather than clicking. The era of mobile is here, and we are bound to take it for granted. With that said, users are facing numerous challenges that weren’t the case a decade ago: online security, device optimization, battery life, redundant apps, oversized cache – you name it. What is the average Android user’s response to these items on their daily to-do list? Some people just go with the flow, some do most of the tedious work manually, but there is an alternative. You can use an app like AMC Security Pro to keep your device fine-tuned at all times and stay on the safe side when surfing the web. 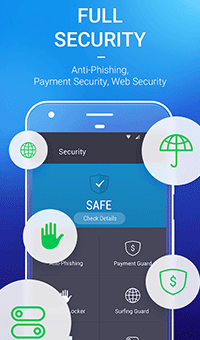 Formerly known as Advanced Mobile Care by IObit, this software accommodates a handful of “clean & boost” features that optimize and defend an Android device from multiple different angles. Ease of installation is on the plus side of AMC Security Pro. The process is a no-brainer and takes roughly a minute to complete. Before the app is launched, it displays a few welcome screens with brief descriptions of new features and ones that have had an overhaul recently, including Power Booster, Scan Items, and Long Battery Life. 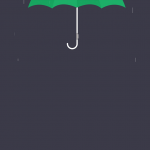 This introductory stage is followed by a popup that recommends an update of the IObit database, offering an option to postpone it if so desired. The main console of the app contains a big round Scan button that triggers a quick device checkup for junk and unneeded privacy records. Alternatively, you can tap Deep Scan right below that button, which takes the inspection a notch further and additionally looks for big files and thumbnails. Either way, the traversal of all the gadget’s paths is a matter of seconds – at least, we haven’t noticed any conspicuous difference in terms of the scan duration. Booster and Security are two more elements of the main pane. Each one contains sub-items covering the relevant areas of the app’s functionality that will be described further down. The additional features are accessible from the menu expanding once you tap the button in the upper left-hand part of the GUI. 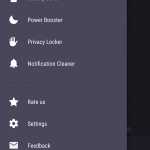 Aside from the license information, settings, and feedback sections, these include the App Manager, Battery Saver, Power Booster, Privacy Locker, and Notification Cleaner. By default, the widget for AMC Security Pro sits in your Android notification zone and is displayed on the lock screen as well. 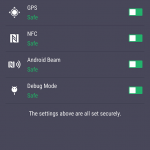 It gives you a quick overview of the current protection and device health status while providing shortcuts to expand the program or access the configuration screen. Those who find this entity annoying can easily disable it by going to Settings – Notification bar. All in all, the app is a pleasure to use. It boasts a neat and use-friendly interface, runs lightning-fast scans, and has amazingly low system footprint. The only blot on the landscape is that the current version of AMC Security Pro lacks the call blocking feature, which was available until recently. IObit says it was removed because of a change in Google Play’s policy regarding apps requiring access to one’s calls and messages. Well, compliance is a serious thing, so the reasoning is understandable. Smart Scan detects and cleans the most common types of junk files, Clipboard history, and APK files you no longer need. Aside from freeing up extra storage space, it fine-tunes running apps to release RAM and thereby boost the smartphone’s performance. Deep Scan extends the functionality of the above-mentioned Smart Scan routine by additionally searching for big and downloaded files, thumbnails, empty folders, and logs. Essentially, this is a more thoroughgoing way of checking the gadget for objects that don’t belong on it and might impact Android productivity. Notification cleaner makes your mobile experience more hassle-free by disabling superfluous notifications from some of the installed apps. It displays the list of programs with notification status right next to them so that you can easily toggle it as you deem appropriate. Anti-Phishing helps you steer clear of social engineering hoaxes aimed at wheedling out sensitive data and account credentials. Powered by IObit Cloud Services, this feature lets you know whenever you visit a counterfeit login site catalogued in its permanently updated phishing database. Be advised this instrument is only available in the Pro version of the app. The Web Security module triggers an alert once you visit a web page that contains malicious code or fraudulent material. This is one more real-time protection feature backed by the vendor’s cloud services. 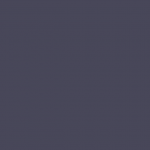 Payment Guard spots rogue applications pretending to deliver payment services and instantly notifies you of the danger. 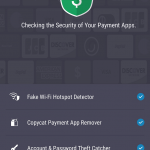 This way, you can easily fend off online thieves by discontinuing the setup or uninstalling the counterfeit payment apps before they pilfer money. If you are using the free edition of AMC Security, you’ll need to upgrade to Pro to unlock this feature (enter AMC Security Pro key or serial code). The goal of the Security Guard component is to evaluate the correctness of all wireless connection and geolocation settings on your smartphone or tablet. It checks the configuration of Wi-Fi, Bluetooth, NFC, GPS, and Android Beam for potentially exploitable parameters and advises on mitigating the risks. Privacy Locker adds an extra layer of protection for your private and valuable data, including photos, videos, contacts, and text messages. It allows you to lock down this information using a secret code of at least four digits so that no one else can access it. Privacy Advisor provides a convenient way to view all permissions used by the apps installed on your device. A few examples of these privileges are “read identity info”, “make phone calls”, “access contacts”, and “read location”. If you aren’t okay with any of them, AMC Security Pro allows for uninstalling the unwanted application in one tap. App Manager displays all programs on your device within one interface. Unlike the built-in Android counterpart, this feature categorizes apps by the following criteria: installed, APK files, and preinstalled. The Battery Saver module is self-explanatory: it helps your battery last longer. 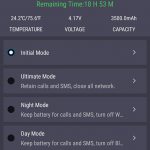 The feature offers a choice of several modes (Initial/Ultimate/Night/Day Mode) to make sure your smartphone is up and running when you need it the most. 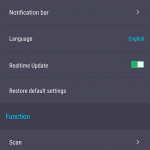 Note that for Android 6 or later, you need to allow this tool to read and write system settings “due to Android system reasons”. Booster is another remarkable instrument to improve the performance of your device. It identifies which apps running in the background require optimization, boosts them by cleaning up cache and other residual junk, while also allowing you to free up RAM and thus instantly speed up your gadget. One more thing that’s really welcome is that this feature also makes games run smoother. AMC Security Pro makes the otherwise cumbersome day-to-day Android maintenance easy and incredibly fast. It detects issues affecting the productivity of your smartphone or tablet and comes up with the optimal fixes. The app can actually release hundreds of megabytes of storage space in no time and allows you to get the most of your RAM memory right now. We at Soft2Secure particularly like the web security kit that goes with this utility. It does a great job detecting phishing attempts and malware-tainted sites in real time and helps you stay away from these widespread perils. However, on-demand virus scan option is missing from the app’s feature set at the time of writing. IObit representatives claim this is a temporary shortcoming caused by the previous AV services partner no longer updating their database of Android malware signatures. Meanwhile, the company reassures users that fully-fledged antivirus functionality will be added back shortly. From where we stand, AMC Security Pro users have plenty of support options at their disposal. The publisher’s official website includes a comprehensive support center with FAQs, product manuals, and online help dashboard. It also provides a phone number for 24/7 assistance. Additionally, the application itself has a feedback section where you can type and submit your issue or recommendation. On the whole, to the vendor’s credit, they appear to take customer support seriously. As awesome as it is, Android OS is known to get crammed up with heaps of digital clutter over time. This is why using a lightweight and effective tool like AMC Security Pro is in most Android fans’ best interest. Not only does this applet enhance a device’s performance with a minimum of user involvement, but it also safeguards sensitive data and provides the essentials of online security. To wrap up, AMC Security Pro is definitely worth its salt.